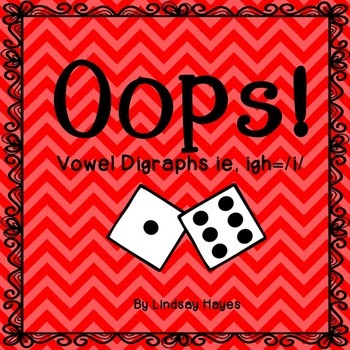 Looking for a fun way to practice vowel digraphs ie, igh (/i/)? Go no further! This game is played similarly to the popular game Sorry! Students take turns rolling, moving and reading words with vowel digraphs ie, igh (/i/). Land on an opponents space and Oops, you get sent back home. Spelling words with ie, igh from Reading Street Unit 4, Week 4 are included. 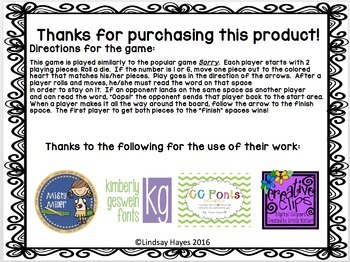 This game requires dice and any kind of playing pieces. 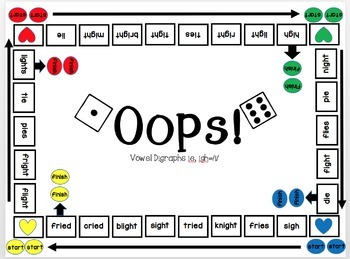 You do NOT need to follow Reading Street to benefit from practice with this game. This game is great for anyone who is focusing on this skill!